Found in the grass near a bike rack at Spring Arbor University. Poor David. 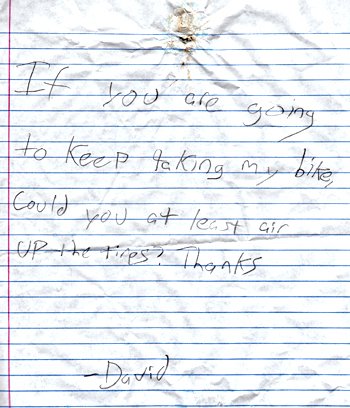 I hope his wit saved his bike from being taken.